As I sit here in the Charlotte-Dundas airport, waiting for my connecting flight to San Francisco, California, I am reflecting on Monday’s show. It was all California, all the way through. 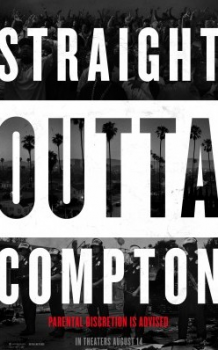 All eyes have been on Compton, California in the last week with the release of the N.W.A. film, as well as Kendrick Lamar’s critically acclaimed interview with some of the original group members. The film met all expectations, debuting at No.1 and making $56 million in its opening weekend. Kobe Bryant has revealed his intention to retire from the Los Angeles Lakers, thereby ending his basketball career. Over 100 wildfires are burning in California, and the annual budget has been completely spent. Despite this, the thought of California gives me nothing but good vibes. Every single song played on Monday reflected California in some sense. I kicked it off with “California Dreamin'” by The Mamas and the Papas, a classic for students and their parents alike, and ended with “Hotel California” by The Eagles. In between, there was a cover of “California Love” by SomeKindaWonderful, a “West Coast” remix by Lana Del Rey x Zhu, and one of the Beertown playlist bests, “San Francisco” by The Mowgli’s. Obviously, couldn’t forget to play “California” by Phantom Planet. I won’t be on the air on Monday, but I’ll be in the air soon. California, here we come!